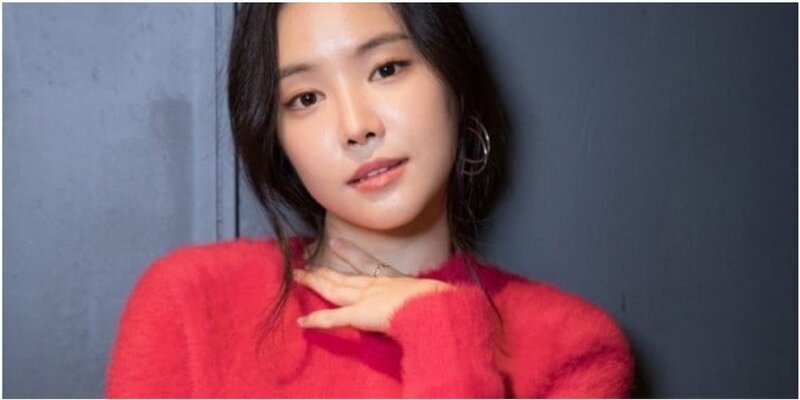 A Pink's Na-Eun opened up about dating. On November 5, Na-Eun held an interview at a cafe in Samcheong-dong, Seoul to talk about her horror film 'The Wrath.' While talking about her dating experience, Na-Eun chuckled, "My official status is motae solo (never dated before)." She added, "I'm in my mid-20s now. I have to experience love. I think I need to have many different experiences." The idol actress also expressed the wish to try acting in the romance genre. She said, "I want to try romance really bad, but I'm worried if I'll be able to pull it off or not. I watch romantic scenes on TV but I wonder if I'll be able to do that. I will do it if I have to but I'm concerned. I have to experience love to be able to express (the feelings). I want to try (a romance genre) if given a chance."